Suits is coming back to us a little earlier than normal, you guys! Suits Season 6 resumes in just a few weeks and we have been given the gift of pictures this Christmas. Yes, we have pictures of the final 6 episodes of the season and there's much to discuss. Some of the pictures give us serious Suits Season 1 feels, but what will become of the firm? Well, Harvey and Louis will be at odds over who gets to take Jessica's place. I mean, who could take Louis serious in a position with that much power? Have a look at the pictures below of what's to come when Suits returns on January 25, 2017. 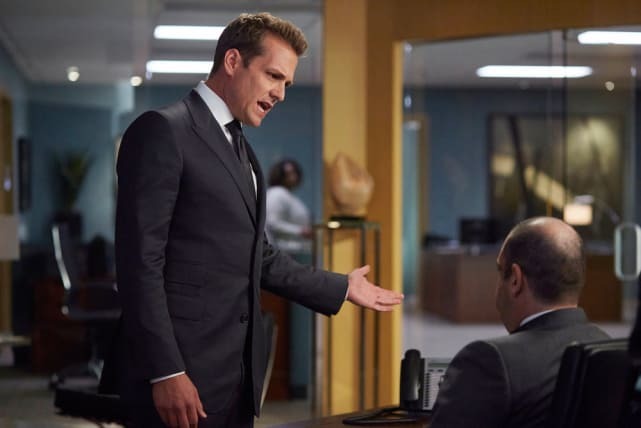 In the meantime, you can watch Suits online right here on TV Fanatic. Get caught up now! Harvey and Louis are struggling to make sense of Jessica's departure, but how will they come to an arrangement about which one of them becomes the new Jessica? 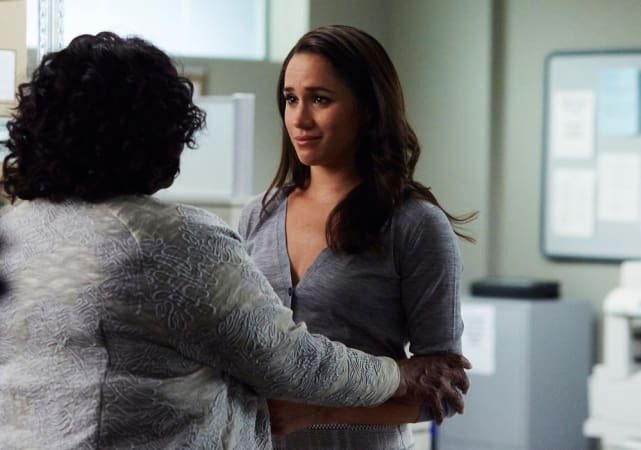 We know that Rachel has a huge decision to make about her future with Specter Litt, but what kind of pep talk will Gretchen give her to help make her decision? 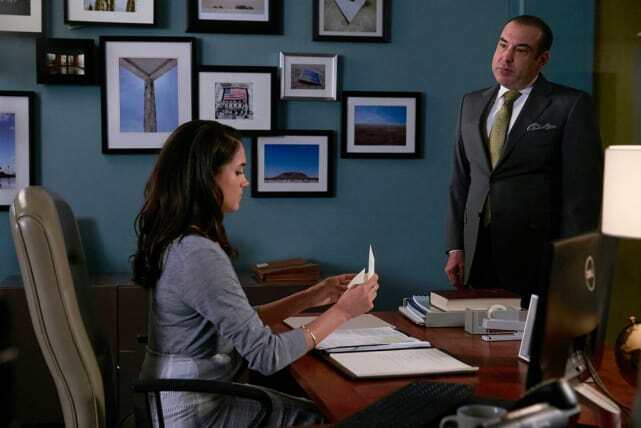 It sure looks like Louis somehow got wind of Rachel's big job offer, but does that mean he will be able to talk her into staying with a sinking firm? Mike and Rachel may be back together, but it looks like Rachel has something she wants to talk about. Mike best hope she is not leaving him for Prince Harry. 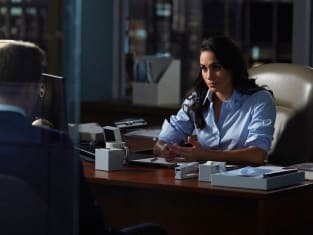 Suits Season 6 Episode 15: "Quid Pro Quo", Suits Season 6 Episode 11: "She's Gone"
Donna: Benjamin, The Donna’s ready. Donna: I mean, five minutes ago she expressed empathy. Permalink: I mean, five minutes ago she expressed empathy. Harvey, that’s enough. You promised Rachel you would pull the plug if things got too risky. Well, they just got too damn risky.